Posted February 13, 2012 in Andy Kuhn, Derec Donovan, OMAC, Silver Star, Silver Surfer, Uncategorized. A huge Kirby-Vision thanks to Travis Ellisor for sharing two recent commisions from his ever-growing Comicartfans gallery. 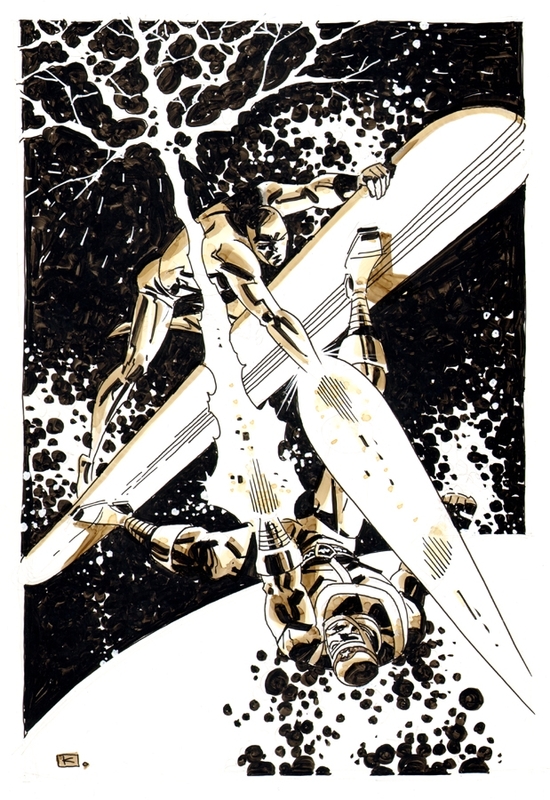 Silver Surfer vs. Silver Star by Andy Khun. 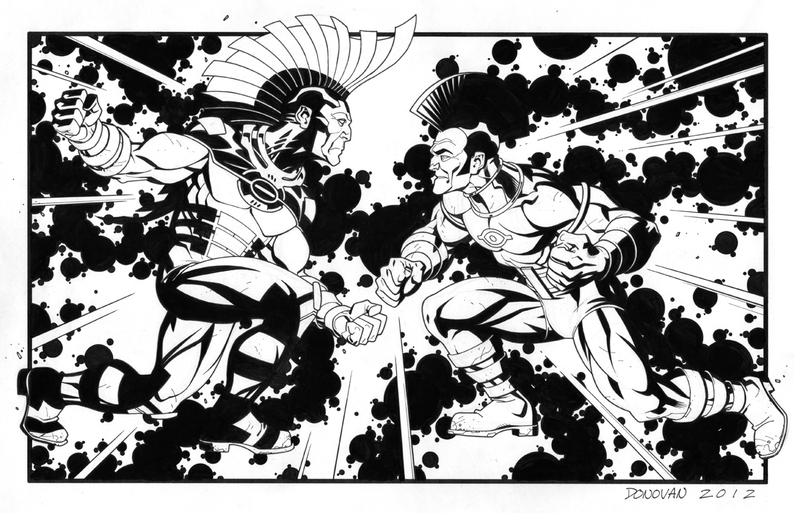 Kirby OMAC vs. Giffen OMAC by Derec Donovan.